It has been awhile since I shop for nail polish and since New Year is around the corner, I decided to pick up this nail polish set from Walmart today. 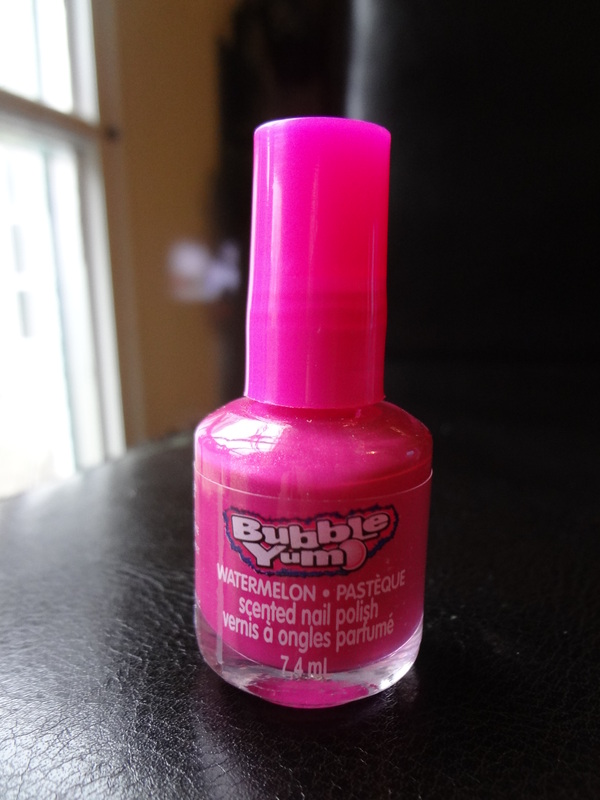 So, I picked this Bubble Gum nail polish mainly because of the scents and for the fun colors. This set comes with four different colors of fuchsia, purple, blue and pink. Each with a net wt: 7.4 ml. I paid $5.00 for this set which is reasonable in price but it’s more catered to young girls fashion. 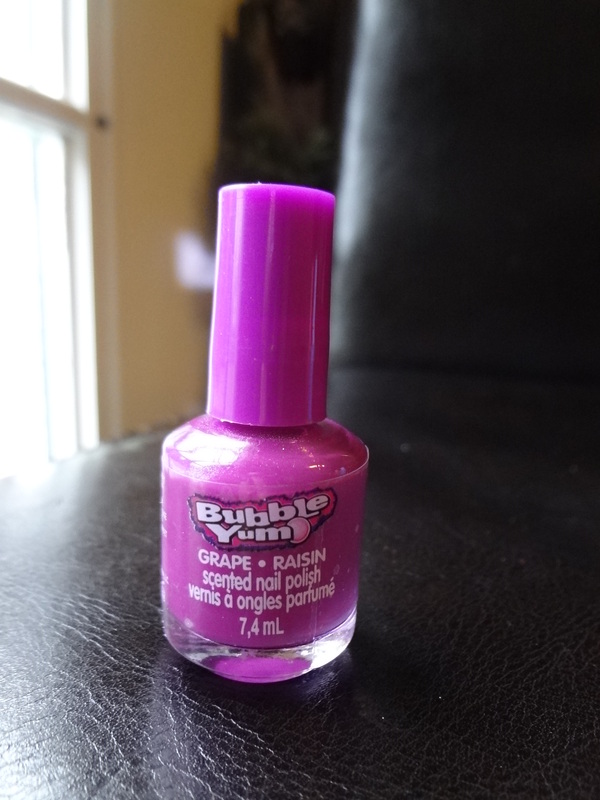 Oh well, I don’t really mind trying on teenage nail polish. It has a metallic finish and the scents are incredibly wonderful. 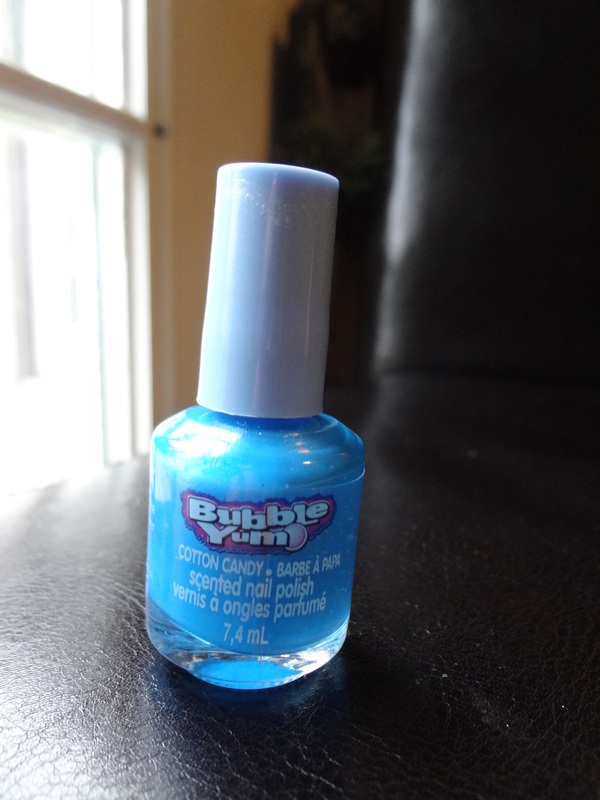 I can smell the watermelon, grape and cotton candy scents on my finger nails. I did only one coating for this review. Once it has dried up, it gives a shinny finish look. But he staying power is very limited. The paint comes out quite easily for adults. But it’s still worth the try in my opinion. If you are getting ready for this New Year party and couldn’t find a pretty color nail polish to wear, drive over to Walmart to grab this nail polish set. 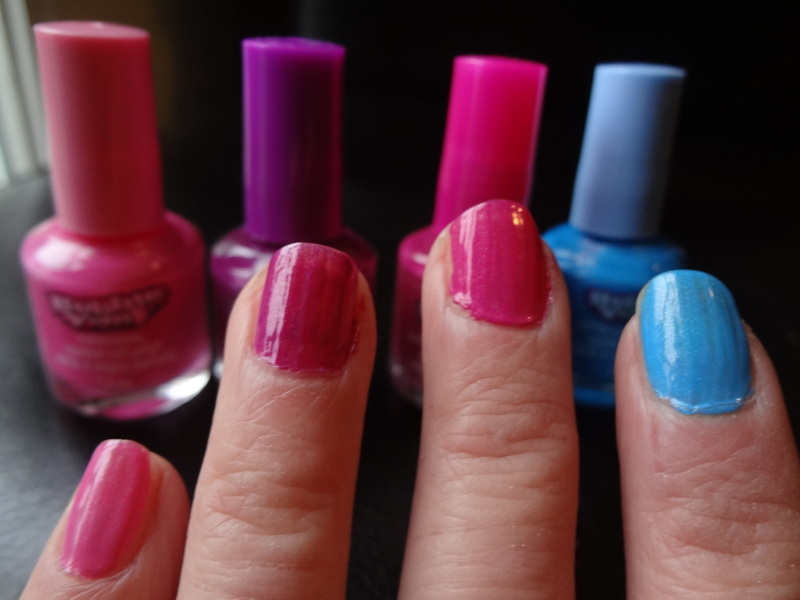 Hope you have fun as much as I am trying out different color nail polish by Bubble Gum. 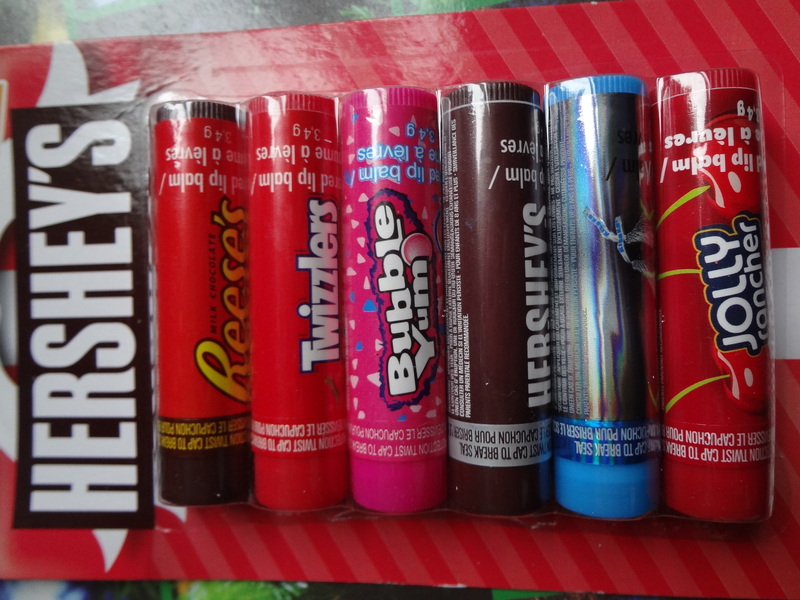 The other thing I picked up is this Hershey’s lip balms. I paid $5.00 for a pack of 6 with each weight 3.4g. I picked them up mostly because of this delicious looking chocolate Hershey’s taste and I can’t wait to try them out. I didn’t try all of them yet since I was just thrilled to share what I picked up today and immediately put up this post. But with chocolate, candy and more candy taste, who can resist all these! Can you spot something similar from this pack with the nail polish? Love to hear your comments. 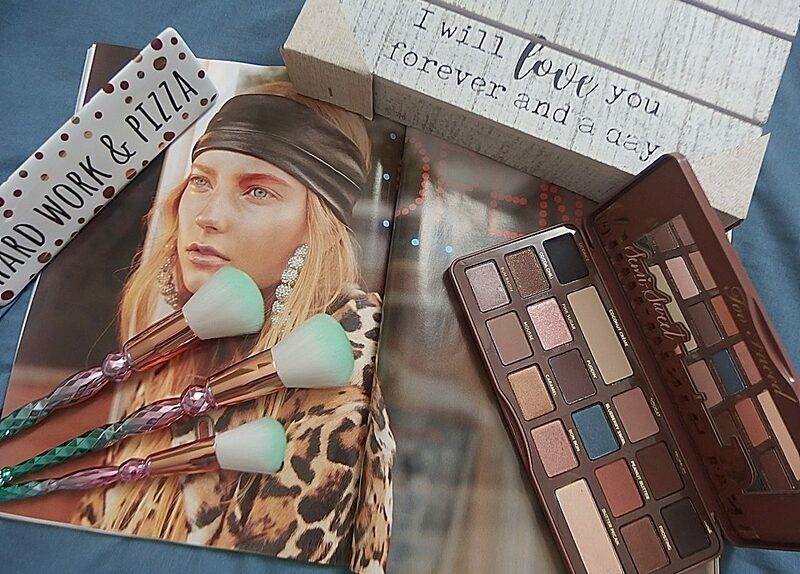 Next post2015 New Year Beauty Resolutions!